Roberto was inspired to start writing his own songs in 1998 while working with Riger for many years as the keyboardist. He named his forthcoming solo project "DORN". 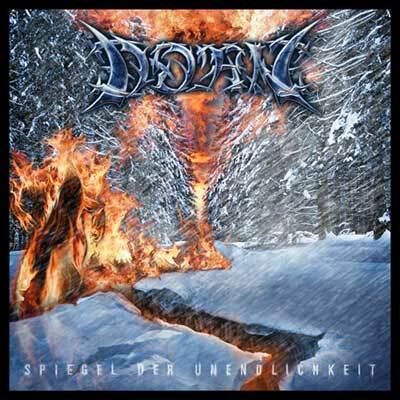 The debut album "Falschheit" released in mid-2000 received extraordinary recognition from both press and fans. Shortly after the release of "Falschheit", Roberto and CCP Records (Austria) signed a recording contract. In order to concentrate on his own project, Roberto decided to leave RIGER. Two more brilliant releases "Brennende Kälte" (2001) and "Schatten der Vergangenheit" (2002) followed the highly acclaimed debut album "Falschheit"(2000). Roberto played all musical instruments for his debut album and also played all instruments except drums on both "Brennende Kälte" and "Schatten der Vergangenheit". Upon completion of "Schatten der Vergangenheit", Roberto's plans for future projects included live concerts. Thus, DORN "the solo project" came to an end. At the same time, it was the new beginning of "the band" DORN. 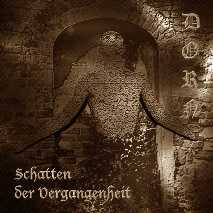 One year after the search for outstanding musicians began, the lineup for DORN was finally complete in 2003 with Roberto (vocal & guitar), Ira (vocal), Lars (keyboard), Micha (bass) and Sebastian (drums). 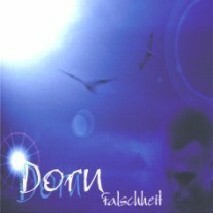 Dorn, as the band for the first time, recorded the 4th album SURIEL at the CCP Studio in Linz, Aus-tria in May 2004. "Suriel" complements the sound characterized by previous albums; alternating sounds of pounding guitar rhythms, deep frightening growls & mesmerizing keyboard melody - harmo-nizing one another to create a very unique style of composition, which is now known as the signature sound of DORN. Dorn's lyrics mainly discuss the profound humanity issues from various aspects. Song-themes cover topics such as death, love and life, depression and melancholy and also social issues such as distorted ambitions and corporate troubles. "Suriel" started making appearances through the reviews and articles in well-known magazines such as Rockhard, Sonic Seducer and Metal Hammer even before the CD was released. 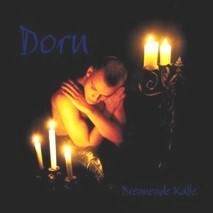 Since winter of 2004, Dorn started playing at live concerts such as München Metal Meridian and Es-sen Ultima Ratio Festival. Dorn shared the stage with Manegarm (swe), Nomansland (rus), FOB (cz), Desaster, XIV Dark Centuries, Thrudvangar, Black Messiah, Amok Vedar, Mordorn among many oth-ers, and also performed as the opening band for the Vision Bleak. However, Dorn didn't remain immune to personnel changes. In mid 2005, Ira departed DORN because of an extended stay in another country. Lars reluctantly resigned from his keyboardist position be-cause of personal and job-related reasons. While Dorn continues its search for the new keyboardist, a sequencer will fulfill the duties of a keyboardist for both live concerts and for the forthcoming 5th al-bum, which is expected to be released in the end of 2006. Dorn does not have plans to find a replacement for Ira because there will be no female vocals on the next album. In order to provide listeners with more Dorn-style symphonic dark metal anthems in the near future, Dorn is already working on the next project even more darker and mystical than ever before.